The title is a bit of a misnomer; my demons aren’t controlling the content here, but they did inspire this post. So close enough! Remember when I wrote that I was really looking forward to this past Friday’s lesson, but there was a possible scheduling conflict? Well, possibility turned into reality. My lesson was cancelled. I was going to make this post about dealing with disappointments like a cancelled lesson, but I realized I already wrote a Mental Smackdown episode about that. It was interesting to go back and reread it. My demons didn’t have quite the same attack this time. Their focus this time was “you can’t prepare for a comp that’s less than 3 months away without lessons, you probably should just give up now.” My mood went south real quick on Friday. It didn’t help that I was dropping a greater distance. I was feeling so positive after Wednesday and eager to continue testing the new lines of communication I was discovering between me and my body. It was hard to not feel like I jinxed myself by being too excited. If I had kept my cool, I wouldn’t have been so disappointed. If I hadn’t let myself get caught up in the excitement of a new comp goal and new progress, I wouldn’t have felt so hurt by this small bump in the road. But if you want to have the big positive feels, you have to open yourself up to the big negative feels! Still working on accepting that. In an attempt to inject some logic into the nonsense, I looked at the calendar. How many lessons did I actually have until OC Dancesport? The answer did not help. Best case scenario, I figured I had about 18 lessons left. That’s 9 per style if we continue alternating. That’s also assuming there will be no more scheduling conflicts (I did account for a couple comps I assume Teacher is going to), sick days, or any other circumstances that would result in more cancellations. If we spent an entire lesson on each dance in rhythm, 9 lessons aren’t even enough to go through each dance twice! Now there is always the possibility of booking additional lessons, assuming I have the funds and Teacher has the time. Teacher already said we could make rhythm the goal for OC Dancesport but if entries came due and we didn’t think I was ready, we could do smooth instead, since we’d continue working on both. These thoughts did not appease the doubt demons. Even if there was enough time to work on technique and styling, what about actual dancing? Teacher and I rarely just dance. There is always a focus. We may dance through a routine once, but then he starts breaking things down to work on something specific. Then it’s dancing through just a few steps to see if I can apply the correct technique. With only 45ish minutes to a lesson, we work on two dances at most and it’s difficult to work in any practice rounds. Availability is one of the built-in challenges to pro-am ballroom. As the student, you have one partner – your teacher. But your teacher has multiple partners, all of whom want the same level of attention. All of them have different goals that they want to work on with their shared partner. But the teacher is only one person and has only so many hours in the day in which to attend to his many partners. So even if I did have the funds to say, double the number of lessons I take, there is no guarantee that Teacher would have the time. I kept the Mental Smackdown title for this post partly because I don’t have a solution to my conundrum. I know I’m not the only one who gets frustrated with this part of being a pro-am student. My goals are not equally my partner’s goals, and he cannot commit as much time to those goals as I would. It’s that built-in imbalance. Barring any more scheduling conflicts, I’ll have a lesson with Teacher this week and be able to discuss my doubts with him. 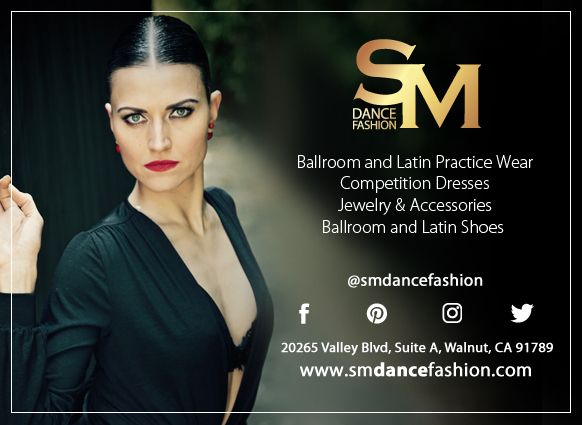 I still want to try to compete at OC Dancesport, but I’m wondering if I’m just caught up in my desire to get back on the floor and so I’m being unreasonable. Or maybe I need to relax and realize one comp is not the end all, be all. One comp is just a stop along the journey. Some people compete every freaking month, so they’re not getting many lessons in between each one. Or maybe they are, since they can probably afford it. Do I want to compete or do I want to compete only when I feel 100% prepared? Have I ever felt that way? I think I just need some reassurance from Teacher, my partner, that it’s doable with the limited lesson time that we have left. If I’m being completely honest, I just want to hear him tell me I’m going to be fine and scold me for not believing in myself. But I’m also afraid he’ll agree with my doubts because he’s too busy to give me the time I would need to prepare enough to not look like a fool. An echo of my demons’ point of attack – just give up now, there isn’t enough time anyway. I’m doing my best to not get ahead of myself or jump to conclusions about what Teacher will say. I just need to wait until my next lesson. I am also more seriously looking for an amateur partner. It was always a “some day” idea in my head, but it occurred to me that one solution to my frustration over not having enough practice time with Teacher is to find another silver-level student to practice with. Even if I’m not practicing the routines I would dance at competition with Teacher, I think it would still help me feel more prepared. Plus I would get to dance more! So stay tuned. A lot of doubts are bouncing around my head, but also possible answers. It’s just a matter of sorting them out. With some help from my partner. Something I am finding myself thinking about–you are looking forward to how many lessons you have left to prepare for this comp–but what have you been doing since your last comp, if not preparing for the next one, whenever it may be? Did you ever stop ‘preparing’ for competition? Perhaps the way to look at it is not that you only have ‘x’ number of lessons to prepare, but that you have ‘x’ number of lessons to add to what you already have done. subtle change–but it has helped me in the past. That’s a good point! I never give myself credit for what I’ve already done.